Summer is moving along at quite a fast pace now. The 95+ degree temps we've had this week are a prelude to months ahead. Its warmer than it should be already, but it seems the garden is hanging in there with some hand watering and frequent visits by me. I am concerned now that this will be another difficult grasshopper year ahead. I've seen them start to pour out of my herb garden, especially the mint. (or maybe they just like nice breath, *wink*) I'm sure the purple martins will have plenty to eat around here this year. I'll have to keep monitoring the situation as the growing grasshoppers see what all they can eat in my garden. 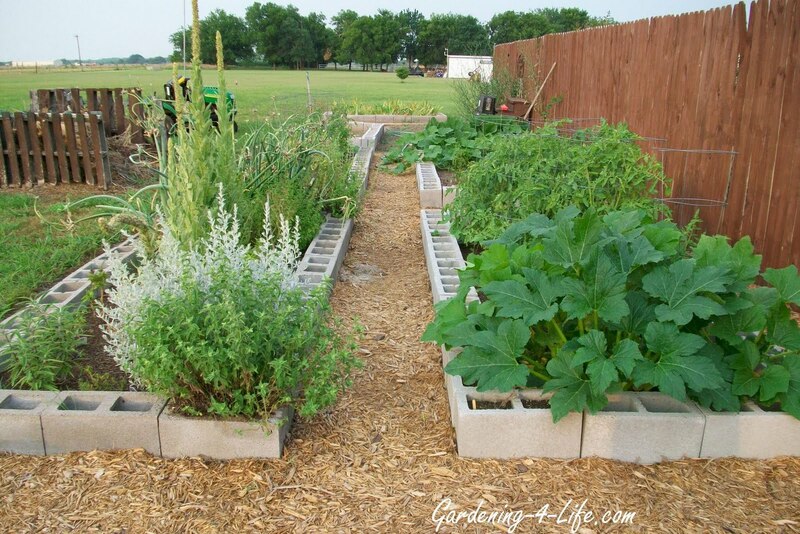 Herb garden of left. Veggie garden on right. 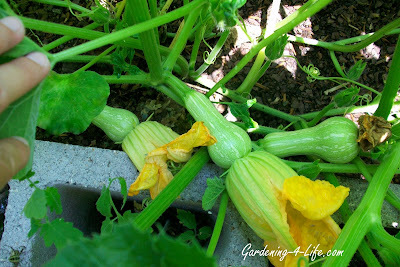 If everything goes ok with the butternut squash, I better start looking for recipes for them. There are tons! Gardening in a tub works great. Here is a grape tomato plant with contender green bean plants. 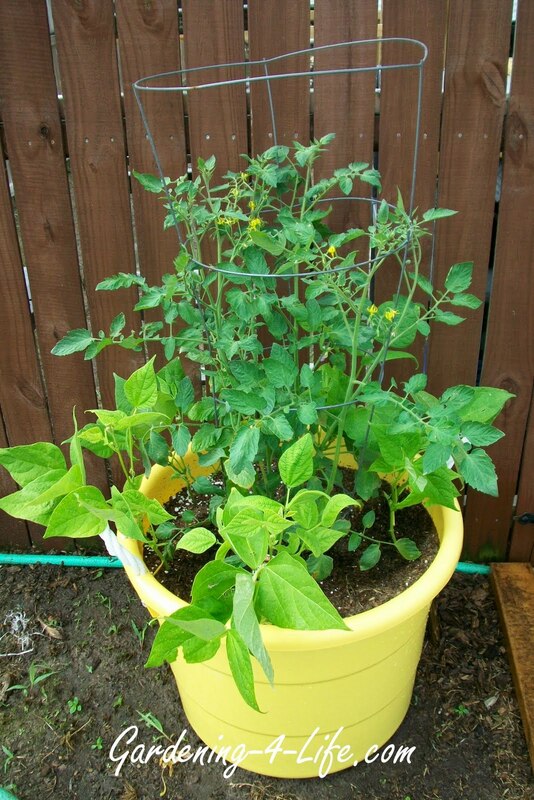 Companion planting green beans with tomatoes helps pump nitrogen into the soil that the tomato plant needs. Later in the week I will talk further about growing tomatoes. It seems to be a plant we've all had questions about from time to time. Jealous!! It just got dry enough here to get in the fields and garden last week. Fields finally planted. Tomatoes, peppers, cucumbers and squash plants in (actually bought squash and cukes because we are 6 weeks behind.) I counted: 46 tomato plants and 57 peppers. What the hell was I thinking?? Salsa and hot pepper jelly along with pasta sauce and every type of canned tomato product possible. Beans poking through, no sign of the corn yet. Rabbits raided my herb garden and ate only my lemon basil. I guess I am glad they left my sweet basil and lemon thyme and the rest. Go figure. Need to get some hair from a salon to sprinkle. Putting in 250 (yes, 250 - not a typo) strawberry plants. What can I say? They were free. Still have about 100 to go but it's too hot out. Busy mulching and can't wait to be munching!! Enjoy the heat and sun! After a late spring, we are supposed to get to 95 degrees tomorrow here in upstate NY. But by the weekend, forecast is for storms and high in the 60's. Right now my plants are soaking up the sun after all of our rain but it is probably going to be yanked away before they get enough. @Handful - That's a lot of tomato, pepper and strawberry plants. I hope you are ready to have your pantry and freezer stocked! That sounds wonderful. --Too bad about those munching rabbits. They need to find a better place for food. @bookworm - Its so hard to find a good balance. Its either one extreme or the other. We aren't suppose to be quite this hot here yet and its causing our tomatoes to quit blooming. If it doesn't come back down that will be the end of our tomato season until later in the fall when our second garden goes out. Its crazy. Sounds like I need to send you some of this sunshine here. I'll place an order for you and have it shipped, ok? I like the idea of gardening in tub. That sounds amazing !! Drive change energy management programs are focus on energy education & energy conservation and working in the area to transforming all naturally available material into Energy. 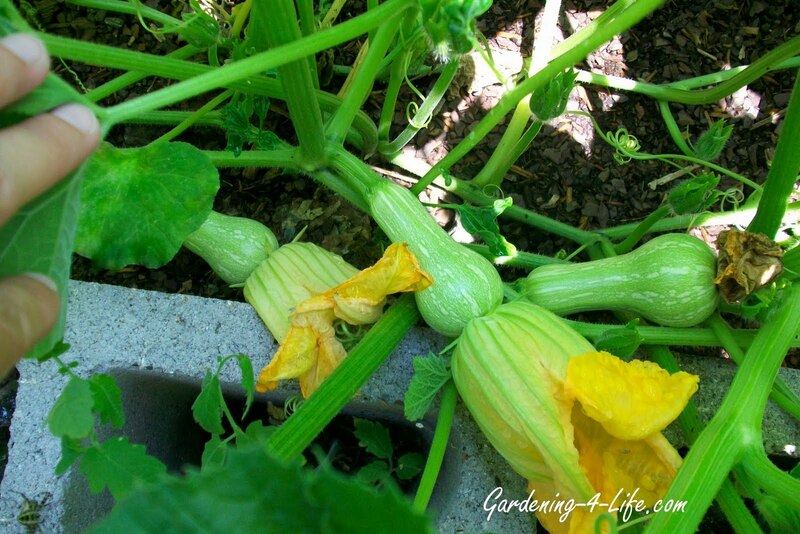 Copyright © 2011 Gardening-4-Life.com. Simple theme. Theme images by gaffera. Powered by Blogger.